Robert Nivelle had a spectacular career trajectory. 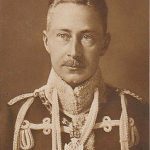 A meteoric rise from commanding an artillery Regiment in 1914 to command an Army at Verdun was followed by his appointment in late 1916 to command the French armies of the North and North East, over the heads of many more senior commanders. He fall was equally spectacular as his offensive in April 1917 failed to achieve the predicted gains, but instead cost 200,000 casualties. The story of the battle itself is here . Nivelle was a man for whom the Peter Principle, that “Managers rise to the level of their incompetence,” might have been created. Historians and soldiers find much to criticise in Nivelle’s performance as de facto Allied supreme commander on the western front. But there is also much to admire about his performance that brought him to notice. For a start, Nivelle was an outstanding field commander. He had already distinguished himself during the August battles. On the Marne on 6th September 1914 part of the 63e division de réserve broke and fled while attacking towards the village of Vincy . 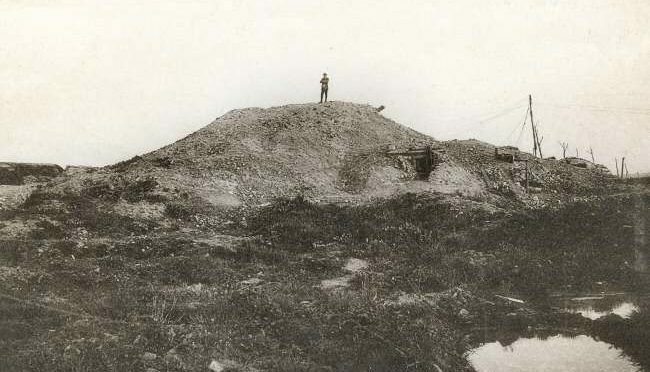 Nivelle’s 5e régiment d’artillerie de campagne was outside Puiseux close by, on a ridge behind the retreating troops. Nivelle saved the day. 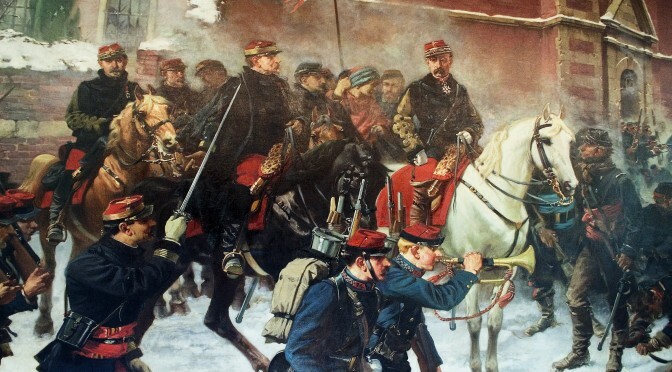 Rather than fall back, he took half his regiment and galloped forwards, through the retreating troops and unlimbered his guns among the French skirmish line. Their rapid fire stopped the Germans. This action alone made Nivelle a bit special as a horse gunner. Many actions of this era involving manoeuvre by horse drawn artillery ended badly for the gunners. 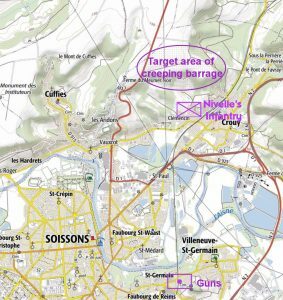 Nivelle got away with something that ended badly for Colonel Long at Colenso and managed to avoid the fate of the British gunners at Le Cateau and Nery. Promoted to command an infantry brigade, he did well in an otherwise failed attack north of Soissons above Crouy. His brigade, closely supported by artillery managed to reach the sites. 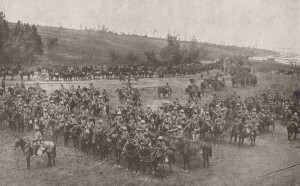 Promotion to command the 61st Division Nivelle mounted a model operation in June 1915, the battle of Quennevieres. This introduced the form of the operations mounted at Verdun at the end of 1916 and of the Aisne in April 1917. 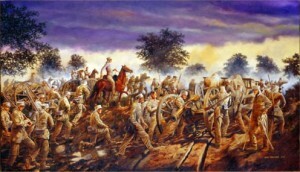 This was based on a sudden and violent attack, supported by overwhelming artillery, followed by a lateral and forward exploitation. A rising star, he was promoted to command the 3 Army Corps in December 1915. 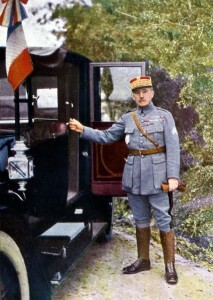 Nivelle followed Petain to Verdun as part of his Second Army, and took over the tactical command at Verdun from Petain. 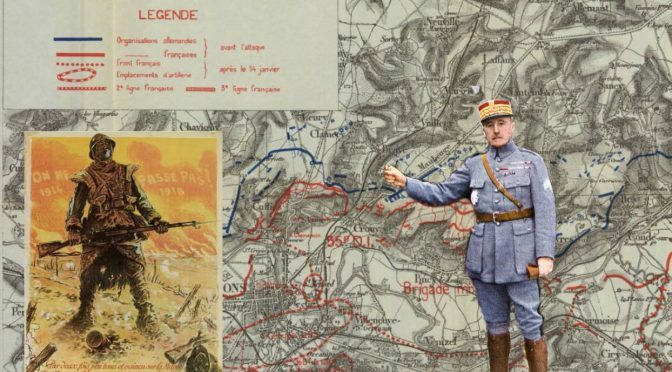 It was Nivelle, not Petain who adopted the phrase “They shall not pass.” Nivelle’s aggression, optimism and tactical skill won praise. The recapture of Forts Vaux and Douamont in 1916 made him a national hero. 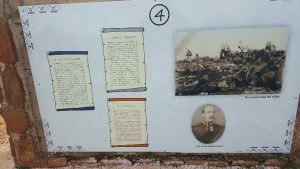 Nivelle was an innovative artilleryman. 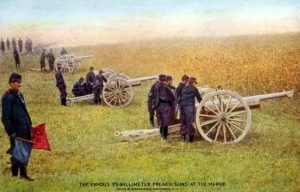 It is probably that the fire support he arranged for his brigade’s attack on 15th January 1915 was the first use of the barrage roulant – the creeping barrage. (1) He encouraged the scientist Hoffman to develop sound ranging. Australian Laurence Bragg would further improve on these for the technology use by the British. He also supported the development of the tank, which in France took the form of self-propelled artillery. Nivelle’s tactical methods had many similarities with the practises that emerged in other armies, combining artillery fire with infantry movement. However, he was an exponent of the operational idea of the breakthrough battle with the aim of the destruction of the enemy army. His emphasis on lateral and forward exploitation has something in common with Liddle Hart’s influential “Expanding Torrent” ideas, and the tactics used by the Germans in 1918, and 1940. What else is lateral exploitation other than “Aufrollen?” Under his command the French introduced more weapons at platoon level, including light machine guns and a light cannon – which might also serve as a anti-tank gun. This is along similar lines to the German all as assault groups that penetrated allied positions in 1918. His ideas were consistent with the pre-war doctrine based on offensive spirit. These contrasted with the pessimistic views of Petain who advocated a long game based on firepowers. Petain’s catch phrase was,” we will get them in the end.” While Petain’s emphasis on doing what was possible was proven right by events, at the time there were many who thought that the Allies could not win by remaining purely in the defensive. Even if correct for France of 1917, it flew in the face of the principles of war. Nor was, “waiting for the Americans” a strategy palatable to the politicians, the media or a patriot public. After Nivelle’s dismissal his ideas became discredited and Petain’s methodical, “bite and hold” battle for limited objectives became the basis for French tactics for the remainder of the First World War, and their thinking after that conflict and leading to 1940. These is part of a pattern of French defeat. 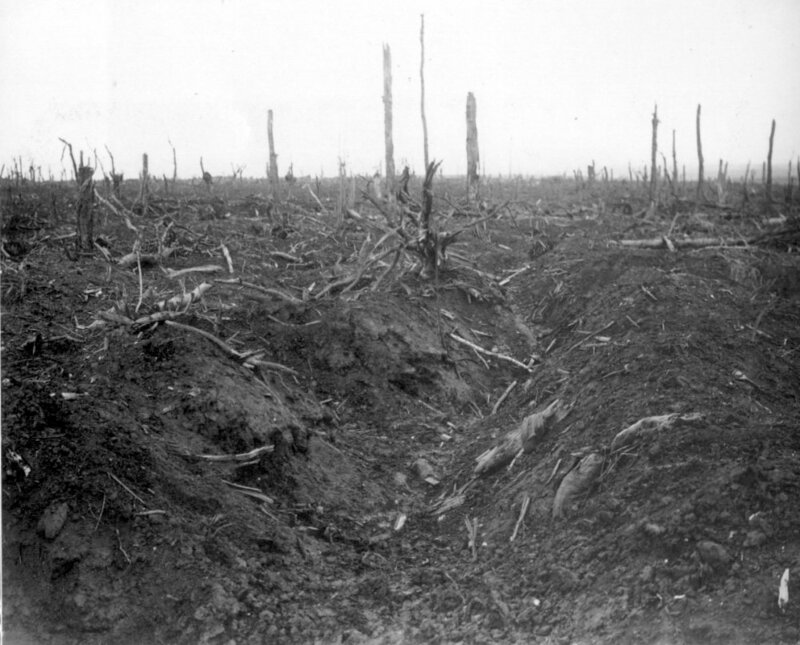 The pre -1914 doctrine based on offensive spirit and élan was finally discredited on the Chemin des Dames in 1917. Petain’s cautious techniques led to an army ill prepared for the German Blitzkrieg. France might have been much better served if they had not thrown out the baby, of Nivelle’s ideas with the bath-water of his strategic command. Nivelle’s ideas were on the on the right lines for the mechanised age. 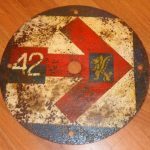 A French army that tempered an appreciation of firepower with an offensive orientation might have put up a better fight in 1940. 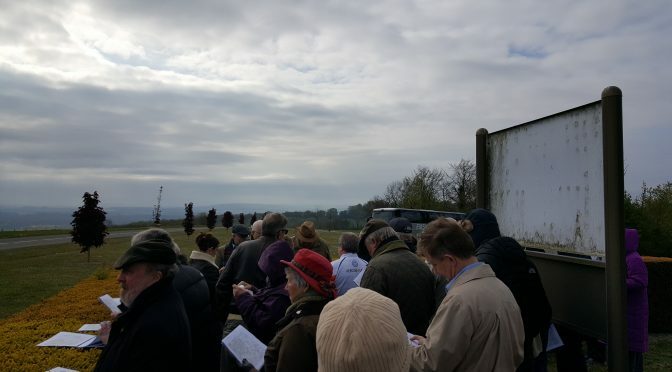 The OP spent last weekend on a Battlefield tour with the British Commission for Military History to the battlefields of the Allied Spring Offensive of 1917. Travelling with a bunch of military historians is more of a master class seminar than a battlefield tour. The historians leading on different aspects included Tim Gale on French Tanks, Tony Cowan and Jack Sheldon on the Germans in Spring 1917, Michael Orr on Bullecourt,(and Gavrelle), Andy Simpson on Arras, Robin Brodhurst on Monchy-le-Preux and Gordon Corrigan on the Canadians. 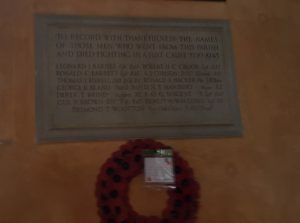 The OP’s contribution was to defend the reputation of Robert Nivelle and the odd matters artillery in the absence of a more distinguished Gunner historian . 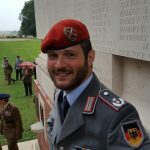 – Was there any real learning curve in the Allies in 1917? 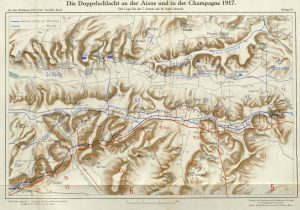 – Was there any way that the Nivelle Offensive could have been successful? – What were the Russian Brigades doing on the Western Front? BTW did you know that the lethal strain of Influenza that killed more than 45 million in 1918-19 first mutated in the British military hospitals in Etaples. 16th April 1917 marks the centenary of one of the most important battles of then First Wold War. 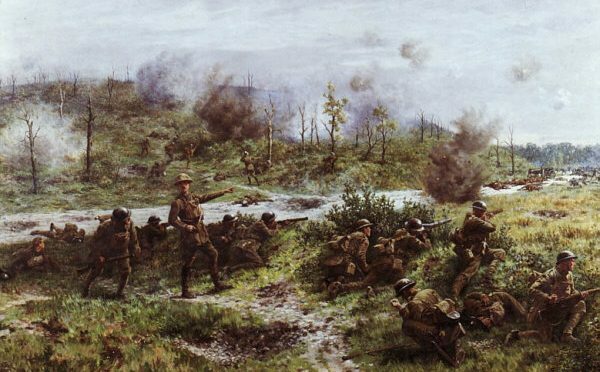 Overshadowed in British public consciousness by the Somme and Passchendaele, the battles of spring 1917 are better remembered in Canada and Australia. The battle of Arras was part of an Anglo French offensive. 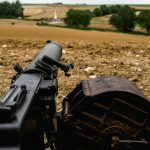 The aim was to break through the German lines using proven techniques for combining artillery and infantry learned from the Somme and Verdun. The British and French started with high hopes, but the offensive cost 350,000 casualties in six weeks, without demonstrable results. Subsequently the French Army mutinied – or rather went on strike. By late 1916 the French government had become dissatisfied witch their generalissimo Marchal Joffre , the savior of the Marne. Joffre for the last three years Joffre had had advocated a concerted attack by the allied armies. This had cost France two million casualties. The French sought a new commander in choice and selected a relatively junior officer – Robert Nivelle. Nivelle had distinguished himself in command of an artillery regiment, infantry brigade, division, corps and then army over two years. He was the hero of Verdun who had recaptured Fort Douamont and Fort Vaux. Nivelle thought he had solved the problem of attacking trench lines. He offered a solution that would end he war in one stroke and defeat the Germans on the western front, with minimum casualties. An idea that offered to make the omelette without breaking eggs was timely and attractive. However, not all were convinced. A new War minister Painlevé appointed in March 1917 was deeply skeptical of a plan that looked too good to be true. Many senior military officers, including of Nivelle’s subordinates and former superiors, pointed out that the plan could not deliver the promised benefits, ignored practical difficulties and would cost far more than projected. However, Painlevé could not obtain enough consensus to call of the idea in the face of popular and media support for an ideas that appeared to allow France to have their cake and eat it. It is a story with a modern relevance. The following text has been taken from the entry in the British Army Guide to the Battlefields of the First World War published in 2014. 55 Divisions 700,000 men, 2430 artillery pieces, 640 aircraft. 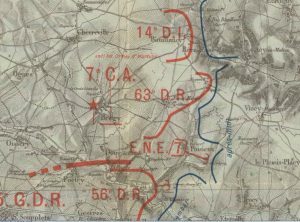 French: Attempted breakthrough North of the Aisne River following the success of the Arras offensive starting 9th April. German: Defensive action using the tactical principles developed following the Somme. The French army mutinied. Petain was appointed to restore order and confidence. The French Army undertook no further offensive operations until July 1918. 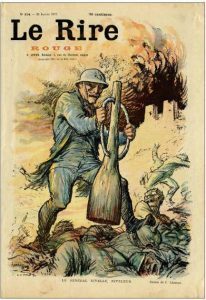 The Germans obtained the objective sought from the battle of Verdun. They had an opportunity to beat Russia, Italy and Britain in turn before the US mobilised. At the end of 1916 the French and British governments, found the advice of Haig and Petain that the war could not be won quickly or without further heavy casualties unpalatable. French General Robert Nivelle, a hero of Verdun, claimed that the Germans were exhausted. A violent surprise blow would rupture the German lines and achieve a decisive breakthrough in 48 hours. The allied governments appointed Nivelle as supreme commander, subordinating the BEF to the French temporarily. The British would strike near Arras and on the Somme to draw the German reserves. 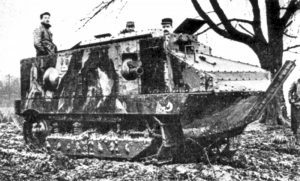 The French Army would attack north on the Aisne with a surprise attack using massed tanks and artillery. 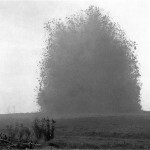 In February the Germans withdrew from the 1916 Somme battlefield to a shorter fortified position; the Hindenburg line. This disrupted allied plans and released German troops. 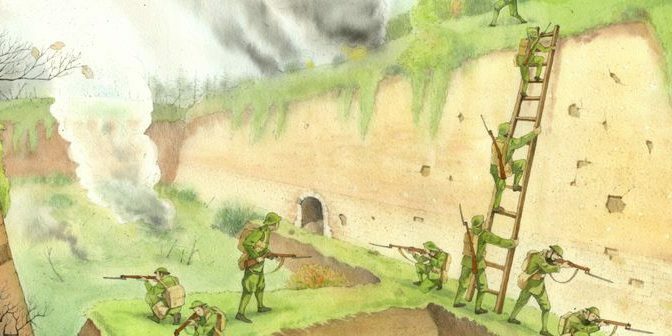 The E-W limestone ridge between the Aisne and Ailette is known as the Chemin des Dames and has been of tactical significance since ancient times. Both Caesar and Napoleon fought battles in the area. Further South East the front lines stretched into the Champagne plain East of Rheims where the Moronvilliers Hills dominated observation. The River Aisne was an obstacle to movement, as was the damage caused by the bombardment. The German positions had been occupied since September 1914, strengthened using the “Caunes” (underground quarries), and improved by extensive tunnelling. Their deployment was based on the “Conduct of the Defensive Battle” (Dec 1916). 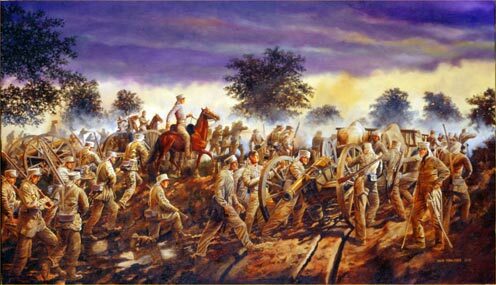 Instead of fighting the main defensive battle in the front line, the main fight was to take place behind the front line, out of view and out of range of enemy field artillery. 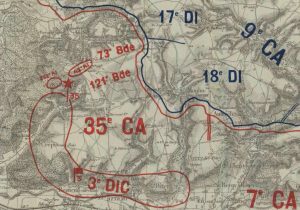 North of the Aisne, at the centre of the main effort of the attack the Germans outpost line was along the Chemin des Dames Ridge while their main position was in the Ailette valley on the reverse slope. The Germans kept a proportion of their troops back to counter attack. 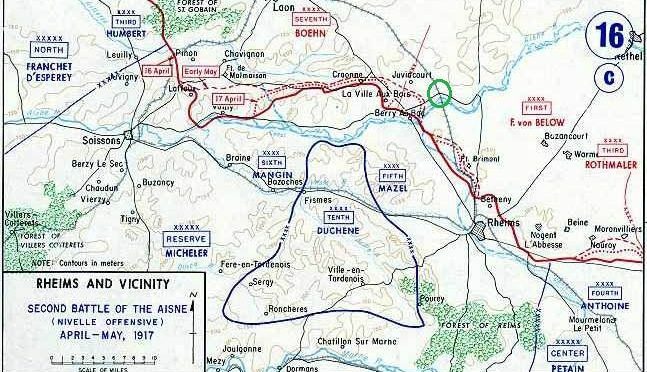 The French planned to attack on a 65 km (40 mile) frontage North of Rheims, with a subsidiary attack east of Rheims, between Prunay and Aubérive, along the Moronvilliers Hills. 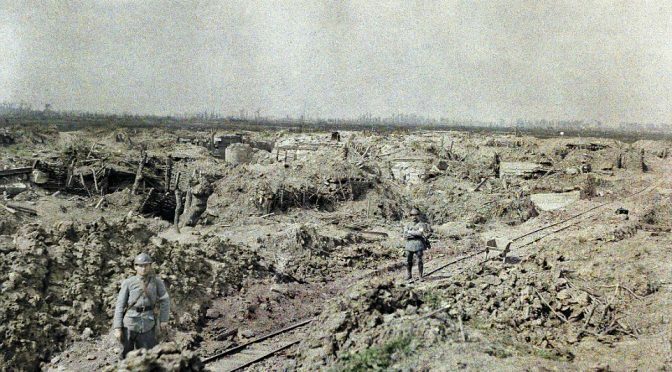 On the Chemin des Dames the French deployed an artillery piece every 20 metres. The French infantry were expected to follow a creeping barrage which advanced at 100m per minute. The Fifth Army would attack on the Western half of the Chemin des Dames, with the colonial Corps attacking from the West. The Sixth army would attack the right hand side and NE across the plain North of Rheims. 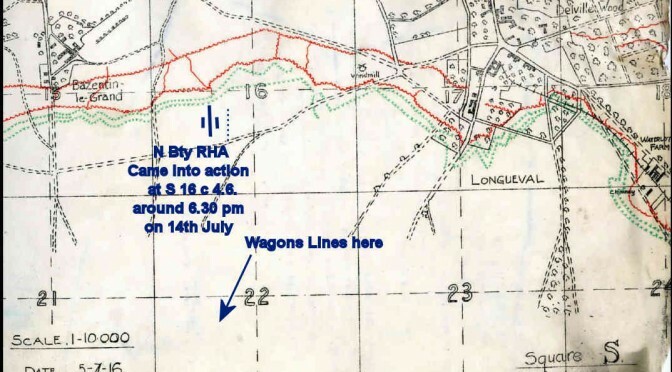 The phase lines anticipated an advance of 10km on the 1st day. The anticipated breach would be exploited by a fresh army and 128 tanks. 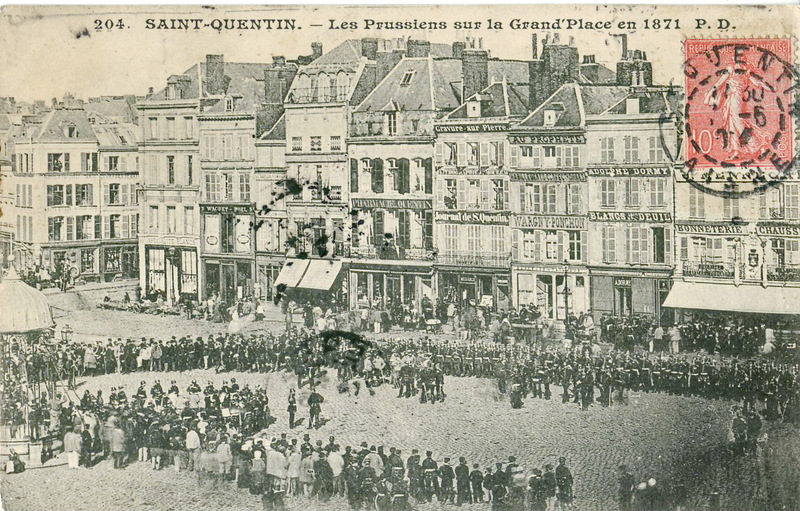 The following day the 4th Army would attack in Champagne. 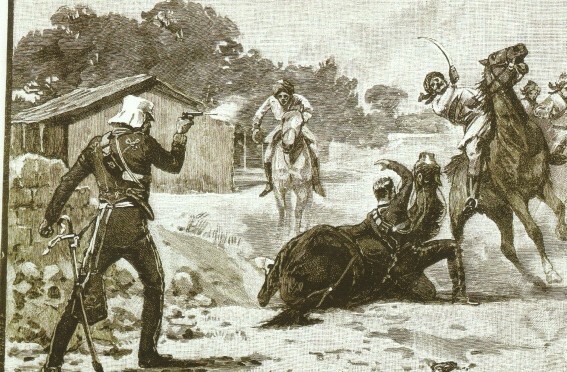 The French placed particular faith in the élan of their African troops, which formed two of the assault corps in Mangin’s 6th Army, which was also reinforced by British heavy artillery. Three brigades of post revolutionary Russians attached to the 5th Army voted to take part in the attack. Many senior commanders had misgivings and only relented after Nivelle promised to cancel the operation after 48 hours unless a breakthrough had been achieved. Nivelle’s optimism and promise of success spread among the French troops who appear to have approached the battle with confidence. French security was lax. The offensive was discussed in the media. German raiders captured operations orders. The two week long preparatory bombardment eliminated any residual uncertainty. The Germans reinforced the sector, doubling the number of divisions and batteries. The Preliminary Bombardment 2-15 April 1917. The preparatory bombardment was hampered by the weather and the aggressive German fighter force, which hampered the French use of aircraft to direct fire against reverse slope positions. Despite the number of French artillery pieces, the German positions were too deep and extensive for the bombardment to be effective. By the eve of the attack the wire had not been consistently cut and the level of devastation were visibly less than that seen on the Somme and Verdun battlefields. The majority of Germans waited underground. 16th April 1917 H Hour was 06.30. 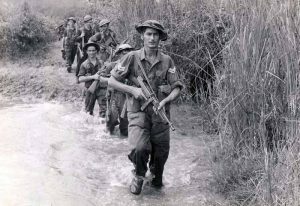 The weather was cold wet and very windy and the infantry froze waiting for the assault. Far from advancing at a rate 100m per minutes deep into the German positions, the French struggled to get beyond the German first line in the face of machine gun and artillery fire. The barrage advanced uselessly away from the infantry. The Germans counter attacked, and in some places reappeared from shelters and tunnels behind the attackers. 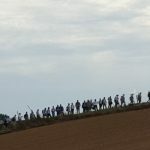 H Hour for the 1st colonial corps, due to attack on the extreme left had been delayed by three hours to minimise the risks of friendly fire from the anticipated breakthroughs the south and the Western faces of the Chemin des Dames position. The Senegalese managed to capture the Mont de Singes with the support of British Artillery, but were forced to withdraw. 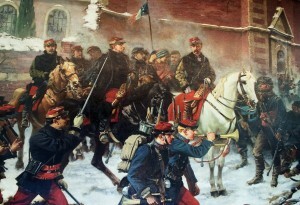 The Fifth army had more success. In the Juvincourt sector where the attack was supported by tanks, the French penetrated to the German second line.. The 14 ton Schneider tanks were restricted by their poor cross country performance to a narrow line of advance and came under concentrated artillery fire. Most tanks were knocked out or broke down before they reached the German lines. 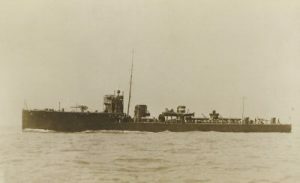 17th April – 15 May 1917 . The Sixth army was to capture the remainder of the Chemin des Dames and cover the success of the Fifth army. The appalling wet weather persisted overnight and prevented artillery preparation. 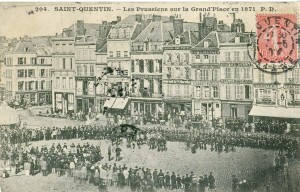 Further attacks were called off while the French hung on to their gains. The Fourth army in Petain’s army group attacked, penetrating the German line to a depth of 500m-2.5km. These gains were developed methodically, seizing the crests of the Moronvilliers hills. 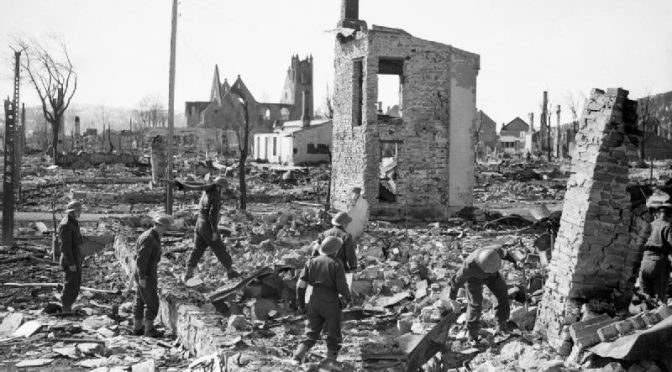 The Germans launched costly counterattacks to try to recover them. Despite Nivelle’s earlier promise, he pressed for the operation to continue with limited tactical objectives. The Tenth army was deployed to seize commanding features on the Chemin des Dames. On the 18th the Germans pulled back from the Chemin des Dames, losing heavily during this movement. the French continued to make small gains during the rest of April and into May. By this time Nivelle had lost the confidence of the government and his subordinates. Petain was appointed, initially as Nivelle’s Chief of Staff on 26th April and then in his place as GoC on 15th May. The first mutinies began on the 4th May peaking a few weeks later and continued with diminishing levels until January 1918. Despite individual acts of insubordination, these were effectively strikes, with units refusing to take part in offensive operations. Petain took measures to suppress the mutiny, imposing discipline and arresting ring leaders. 48 mutineers were executed. He also addressed grievances and improved the administration of soldiers, such as regular leave and improving the quality of food. He then initiated a series of minor attacks to restore the French army’s confidence. The French Army was in no condition to take the offensive for the remainder of 1917. The Germans do not seem to have been aware of the French Mutinies. At Verdun Nivelle enjoyed adequate and successful artillery support, surprise and limited attainable local objectives. None of these featured on the Aisne. Nivelle offered British and French politicians a solution which was politically acceptable rather than militarily achievable. In pure material terms the battle might be considered a moderately successful attrition battle. French losses were heavy, but no worse than in 1915. They gained more ground and, according to official figures inflicted proportionally heavier German losses a higher proportion of prisoners than for the first month of the Somme. Much of the Chemin des Dames was designated as devastated land and turned over to forestry, preserving the trenches, bunkers and munitions. 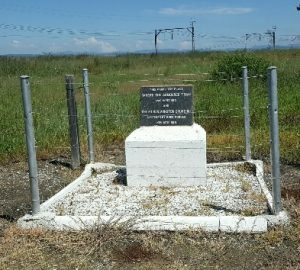 There are interpretation panels and monuments in many of the key locations. The battlefield is largely the same ground as the British Aisne battlefields of 1914 and 1918. The Cave au Dragons museum is an underground battlefield and offers interpretation and local guides. 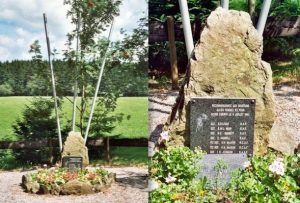 There are several memorials on the Chmein des Dames road commemorating different French units, including the Senegalese and the Basques. The destroyed village of Craonne has a symbolic significance, as the subject of the bitter anti war song the “Chanson de Craonne”, banned in France until 1974. 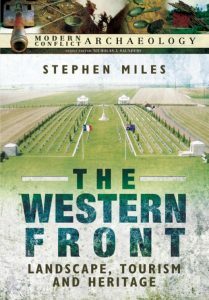 Of all the books published about the First World War in the last few years, Dr Miles’ book is probably the most important for the Battlefields Trust. It one of the few books that covers the subject matter of the Trust – preservation, interpretation and presentation, and their value in economic and cultural terms. 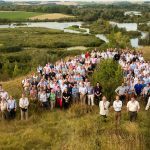 Dr Miles covers the history of battlefield visits, the status of the battlefields and nature and motivation of battlefield visitors and addresses some of the issues that have arisen. He starts with history of battlefield tourism to the western front and analyses the tourist experience. 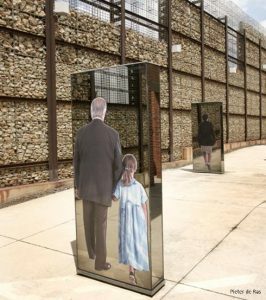 He uses the concepts of “dark tourism”, the multi-disciplinary academic approach to tourism to sites of death; including battlefields. This is an academic book, but very accessible and stimulating to anyone with an interest in battlefield tourism. 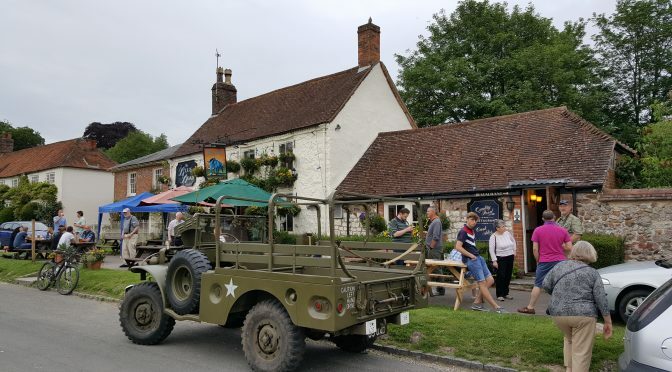 The analysis of the economic benefits of battlefield tourism supports the case for preserving and developing battlefields as heritage tourism destinations. Unfortunately, the charts are not clearly labelled or referenced within the text. 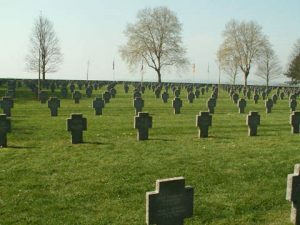 There are thought provoking chapters on topics such as the morality of battlefield travel and the etiquette of visiting battlefields and cemeteries. There are some shortcomings in the work. There is little reference to the value of battlefield landscape rather than monuments or the remains of trenches. Professor William Philpott once referred to the landscape as important in three ways. Firstly, the micro-terrain that influenced the course of events; the dips and hollows that may have determined that some men died and others survived. Secondly, the landscape enables the visitor to experience sounds and sights familiar to the combatants. The beet fields of Flanders evoke 1914 while the visitor to the Somme in July can see the flora and fauna that Sassoon describes. Thirdly, and perhaps most important, the landscape has a mythical significance as hallowed ground sanctified by the blood of the fallen. 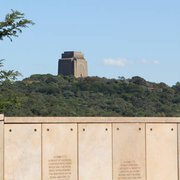 Monuments are erected in recognition of the sacred significance of the ground, a process which continues. There could have been more of the educational value of battlefield heritage. 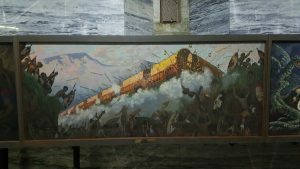 Pioneer tour operators, guides and guidebook authors Tony and Valmai Holt talked of battlefield travel as being a mixture of information, entertainment and education. 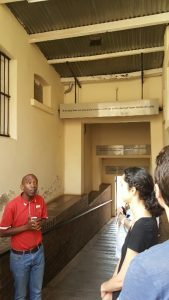 Education is also the primary purpose of the thousands of visits by school and university students and soldiers under training. The desire for education or enlightenment is one way to distinguish between the respectful pilgrim and the sensation seeking tourist. 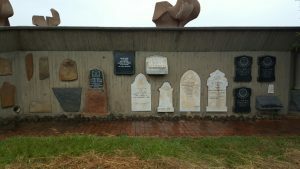 Other dark tourism studies have commented on the way that visits to historic thanatourism sites result in the visitor reflecting on their own mortality. 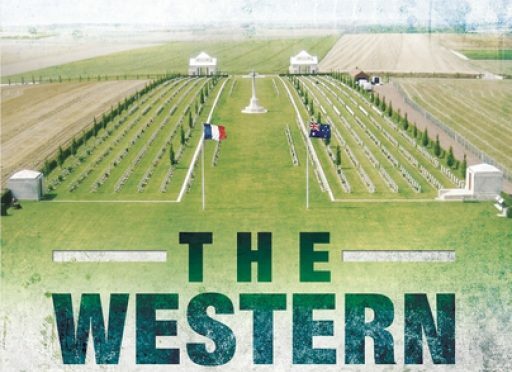 Visits to the Western Front as the setting to facilitate thought about war and society at a deeper level than the idea that peace is better than war. 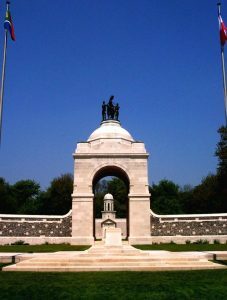 The well informed or well guided visitor should be aware that the British memorials were not erected to glorify war, but to glorify the sacrifice of a generation who were thought to die in a “war end war.” Over the last fifteen years around 100,000 British servicemen and women under training have visited the battlefields to reflect on the core values of the army and their own role -and mortality. 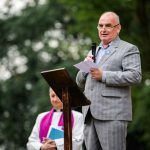 The Irish Peace memorial at Mesen is mentioned, but not for the battlefield setting of Mesen as the base for projects to communities across the sectarian divide. Of course, the observations in the preceding critical paragraphs were stimulated by reading his work. Were Dr Miles to have expanded his work to deal with these themes it would have been a much larger work and he might still be writing it! 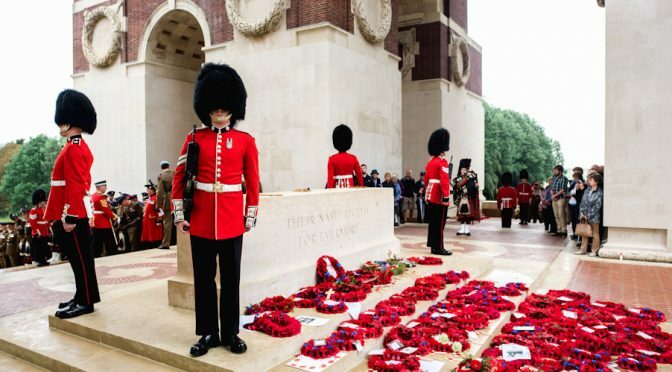 This November is the centenary of the end of the battle of the Somme, one of the battles selected to commemorate the First World War by the UK Government. One of the most impressive acts of Remembrance has been overlooked by the media and the public. On 10th November on BBC Radio 4 General Tim Cross, reminded listeners that one reason for Remembrance is to learn the lessons of the past. 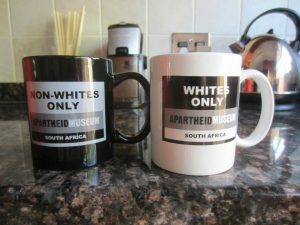 One of the eternal, if pessimistic, truths is how rarely people learn from history. So it ought to be news when the armed forces actually do try to see what lessons can be learned from the past. That is what the British Army did in mid September, entirely unremarked and ignored by the media. This is a pity. 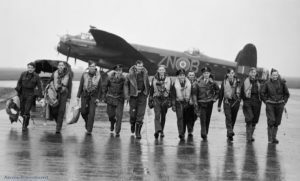 Not only is is comforting to know that the sacrifices were not ignored, but many of the lessons uncovered ought to be considered by the politicians who set defence policy and the public who elect them. 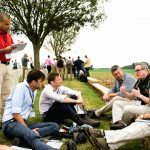 The Army’s Operation Reflect Staff Ride Somme 2016 spent two weeks exploring the story of the battle of the Somme and learn the lessons for the current day. 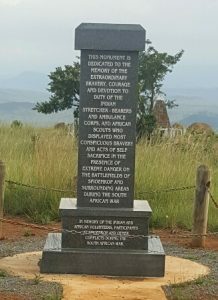 This was not a battlefield tour or a pilgrimage, but a serious professional study of the battle as a case study of the British Army in a war against a “first class peer enemy”, coalition warfare, development of tactics and technology, men in battle and supporting the army. It is very apposite to prepare for the worst, given the uncertainties of the current international situational politics. 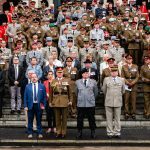 This was a consultancy exercise involving some 200 Lieutenant Colonels, Majors and Warrant Officers mainly from the British Army, but with representatives from the French ,German, Commonwealth and US Armed forces, the RAF and the Civilian MOD. 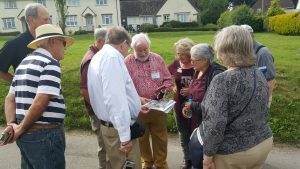 It was supported by battlefield historians from the British Commission for Military History, including the “OP” , and input from French and German historians. 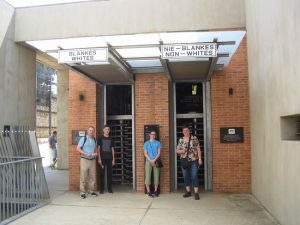 The OP was struck by the fresh perspective from French and German historians. 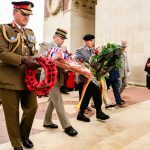 Even now much British military history written about the Somme ignores the French. The first book in English that sought to give anything like a fair balance between the British and French contribution to the battle was William Philpott’s “Bloody Victory” published as recently as 2010. The set text for the exercise was Dr Matthias Strohn’s “Somme Companion,” published for the exercise and featuring contributions from some of the historians taking part. It was interesting to see the First Day of the Somme from the Belvedere de Frise, taken by the French 6th Army with only a fraction of the casualties suffered by the British further north, and to explore why this was. Few Britons, even professional historians are familiar with the capture of Bouchavesnes by the French in September 1916. 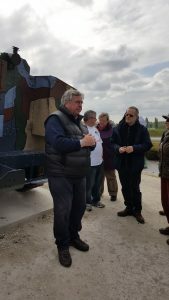 Yet this high point of French endeavour on the Somme was the context for the first use of tanks by the British a few miles North West and a few days later. This wasn’t just an intellectual exercise. The best part of a day was spent in acts of commemoration and Remembrance at the German cemetery at Rancourt and the Anglo French memorial at Thiepval led by senior British French and German general officers. 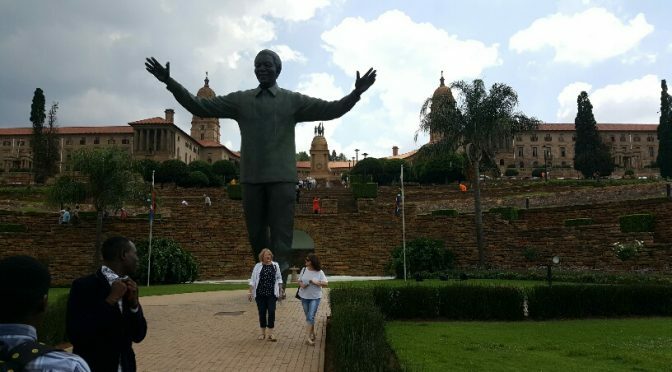 It was a pity and a surprise that there has been no media coverage of this huge exercise in remembrance and reflection. The public ought to know that our military institutions have committed serious time and effort to try to learn lessons from the past – real institutional Remembrance. When war broke out between France and the German states in August 1870 , the 59 year old retired Major General Sir Vincent Eyre KCSI, CB happened to be in France. This was the first war to take place in North West Europe since Waterloo over half a century earlier. Since Waterloo much had changed. Telegraphs and newspapers brought home to the public the suffering of the wounded. 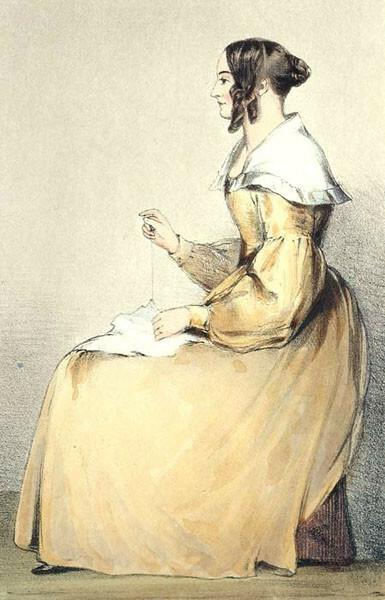 Florence Nightingale had revolutionised nursing. The Geneva Convention of 1864 had provided for the neutrality of the medical personnel of armed forces, the humane treatment of the wounded, the neutrality of civilians who voluntarily assisted them and the Red Cross Society. Sir Vincent Eyre and Lady Eyre, in the name of the English Red Cross Society formed a committee in Bolougne and raised a British volunteer ambulance service. 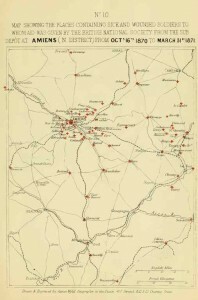 It provided hospitals, field ambulances medical staff and vehicles to collect and treat the wounded on battlefields across Northern France including many places familiar to the soldiers of the Great War such as Amiens Villers-Brettonoux, Bapaume, Peronne and St Quentin, the Somme battlefields of 1870-1871. These were led by British military officer and nurses trained by Florence Nightingale. The British brought their Indian experience and some staff including the Pharsee wife of the surgeon at St Quentin. including some By their medical services were treating 15,000- 20,000 patients a month. (1) Eyre’s report is in The report on the operations of the British National Society for air to the Sick and Wounded in War. The battle of Bapaume 1870 was one of the few french victories of the war. There is a monument to this battle on the Bapaume Arras road. Vincent Eyre was born in 1811, in then Napoleonic era, four years before Waterloo. The son of a captain and educated at Norwich Grammar School. Eyre entered the Military Academy at Addiscombe when about fifteen, and passed out into the artillery of the company on 12 Dec. 1828. He was gazetted to the Bengal establishment, and landed in Calcutta 21 May 1829. 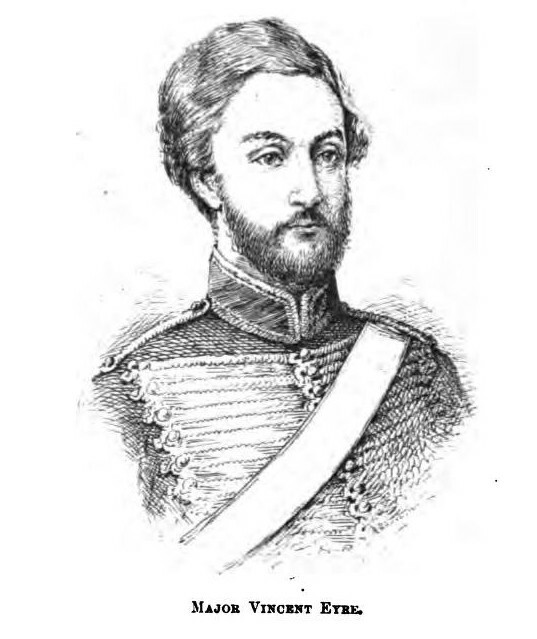 After eight years he was promoted to be first lieutenant, and appointed to the horse artillery of the Company. In 1839 Eyre was appointed commissary of ordnance to the Kabul field force and present during the 1841 rising. Eyre was in command of two guns sent out with a sally from Kabul and severely wounded. 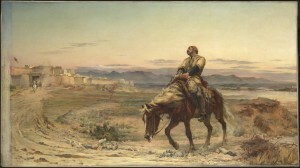 During the retreat from Kabul Eyre, still suffering from his wound, and his wife and child were surrendered as hostages. They were lucky. The dozen or so hostages were the only survivors out of some 4,500 soldiers and 12,000 civilians in retreat the column that withdrew from Kabul, and freed from being sold as slaves to the Uzbeks by a dramatic rescue. Eyre disembarked his men and guns, collected a party of HM’s 5th Fusiliers and set off for Arrah. His own horses not having arrived, he commandeered local bullocks to draw his two 9-pounder guns and one 24-pounder howitzer. His ammunition was carried in country carts. After a march of over 40 miles, he encountered an enemy force of more than 10,000 trained soldiers barring his way at Bibigunge. On the morning of 2nd August he immediately led his small body of around 225 troops into the attack, carefully supported by the fire of his guns. Two attempts by the mutineers to rush the guns were broken with salvoes of case shot. After an hour’s fighting, the skirmishers of the 5th Fusiliers turned the enemy’s right flank. The gunners poured case and shrapnel into their front, and a bayonet charge by the Fusiliers won the day. This battle raised the siege of Arrah. Eyre’s exploits were recognised by the award of the battery honour title of 58th (Eyres) Battery Royal Artillery. Fyre played a distinguished part in the relief of Lucknow and quelling the Indian Mutiny. After the rebellion he was promoted to Colonel and retired in ill health as a Major General in 1863. His first wife died in 1851 and in 1860 he married his cousin. Lithograph of Mrs Eyre, based on a sketch drawn by Vincent Eyre of his wife Emily while they were held captive in Afghanistan. Emily died in 1851. Eyre was a talented artist. Whilst in captivity he made sketches of the captives which were smuggled out of Afghanistan and published. You can see some of the images here. Everyone has heard of the first day of the Somme, famously the day on which the British Army suffered its highest casualties on a single day. Fourteen days later the British Army made its next big push. Demonstrating that occasionally lessons are learned and learned quickly, the plan was a bit different from on the 1st of July. There wasn’t quite as many guns or ammunition as there was on the first day, but all of it was concentrated ion the German defences along Bazentin ridge and the German guns behind it. One the 1st of July there was one gun to every 20 yards of front – spread over two defensive lines and the preparation lasted for a week, firing 1.5 million shells . 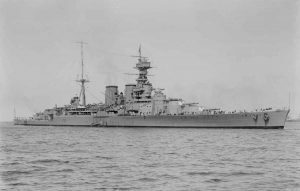 On the 14th there was one gun for every 6 yards and the preparation lasted for 48 hours, firing just under half a million rounds. The Deccan Horse photographed on the Somme 1916. I wonder if any of the limbers on the road are from N Battery? H Hour was 03.25 at dawn. 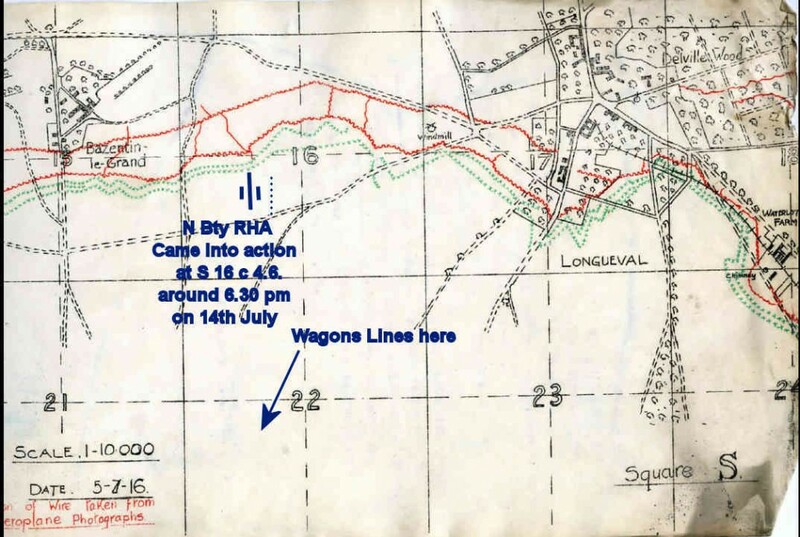 The infantry of five divisions moved out into no mans land at night, and guided by mine tape deployed quietly a few hundred yards from the German front line. It was a great success and about three miles of German trenches were taken and a gap wide enough to launch cavalry – supported by a battery of horse artillery that still exists as N battery the Eagle Troop. However, by the time the cavalry was in action the Germans had blocked the gap. 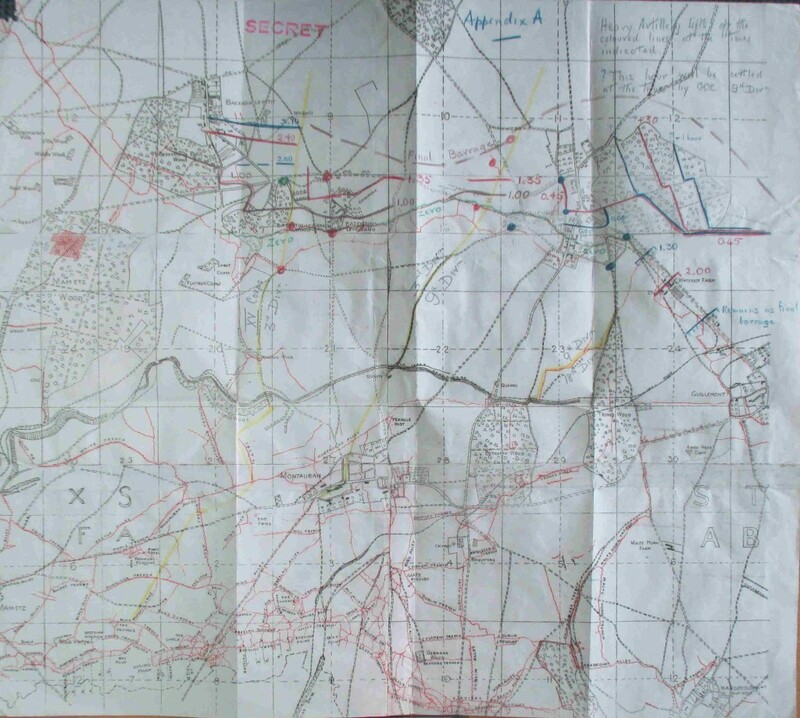 The map is the hand drawn trace for the XIII Corps fireplan for the attack on 14th July. 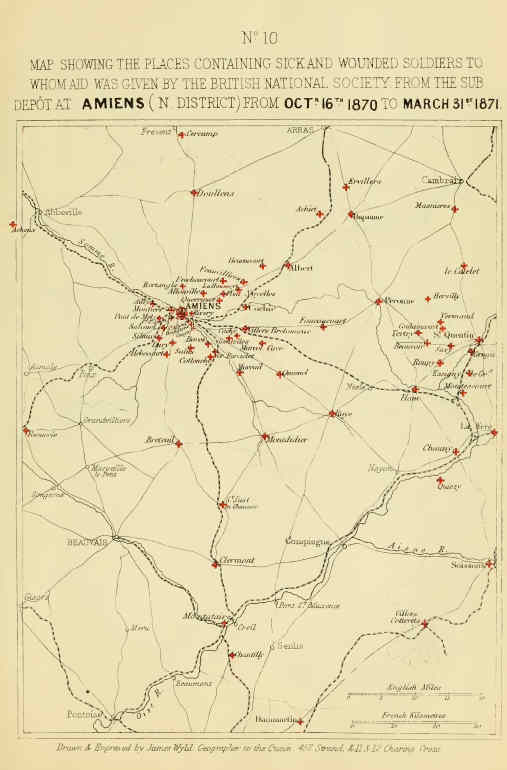 Delville Wood is on the right hand side just below the number 12. The wood above the number 10 is High Wood. The poet and author Robert Graves was wounded in this attack at the churchyard in the village of Bazentin-le-Petit to the left of the number 9. 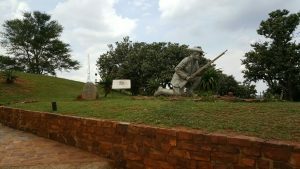 The area between Delville and High woods was the focus for fighting for the next two months. It was calculated that seven shells a second landed on Delville Wood at times. Two of the casualties on that day was Lieutenant Colonel Dudley George Blois DSO Commander of 84th Brigade RFA and his Trumpeter. They were riding forwards to recconoitre new positions for 84th Field Brigade of 18th Division and caught by shellfire. Blois a descendent of the royal house of Blois, is commemorated in Blythburgh Church in Suffolk. 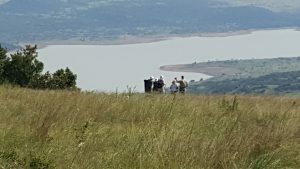 If you are interested in visiting any of these battlefields and hearing the Gunner side of the story contact Gunner Tours. “It is with great pleasure I submit, for the information of the Brigadier Commandant, the following account of the very gallant conduct of Second Lieut. 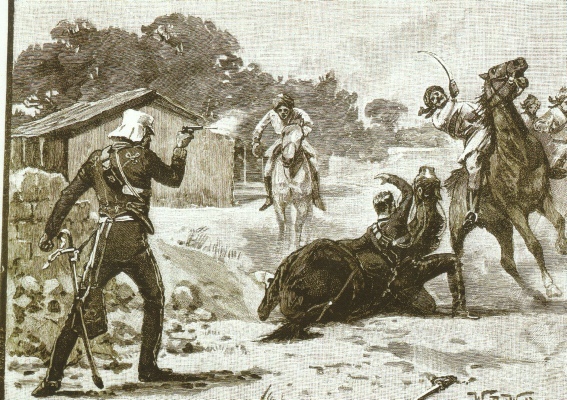 James Hills, of the 2nd Troop, 1st Brigade Horse Artillery, and the noble behaviour of his commanding officer, Major H. Tombs, in twice coming to his subaltern’s rescue and on each occasion killing his man. Yesterday, the 9th inst., Second-Lieut. J. Hills was on picket-duty, with two guns, at the mound to the right of the camp. About eleven o’clock a.m. there was a rumour that the enemy’s cavalry were coming down on this post. Lieut. 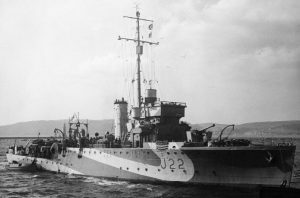 Hills proceeded to take up the position assigned in case of alarm, but before he reached the spot he saw the enemy close upon his guns, before he had time to form up. To enable him to do this, Lieut. Hills boldly charged, single handed, the head of the enemy’s column, cut down the first man, struck the second and was then ridden down, horse and all. wrenched the sword from the hand of Lieut. Hills (who fell in the struggle), and the enemy was about to cut him down when Major Tombs (who had gone up to visit his two guns) saw what was going on, rushed in and shot the man and saved Lieut. Hills. By this time the enemy’s cavalry had passed by, and Major Tombs and Lieut. 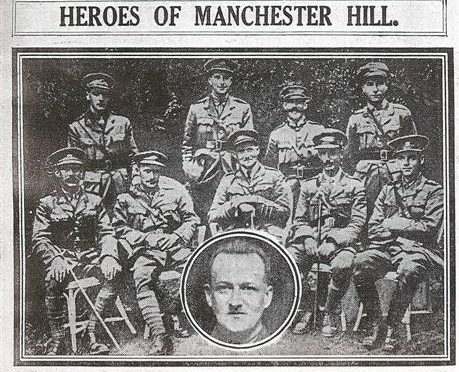 Hills went to look after the wounded men, when Lieut. Hills observed one of the enemy passing with his (Lieut. Hills’) pistol. They walked towards him. The man began flourishing his sword and dancing about. He first cut at Lieut. Hills, who parried the blow, and he then turned on Major Tombs, who received the blow in the same manner. His second attack on Lieut. Hills was, I regret to say, more successful, as he was cut down with a bad sword-cut on the head, and would have been no doubt killed had not Major Tombs rushed in and put his sword through the man. I feel convinced that such gallant conduct on the part of these two officers has only to be brought properly forward to meet with an appropriate reward. Major Tombs was saved from a severe sword cut on the head by the wadded head-dress he wore. The Tombs claimed that his folded military cloak saved his life from the sword thrusts of his opponents. I longed to meet and know the men who names were in everyone’s mouth. 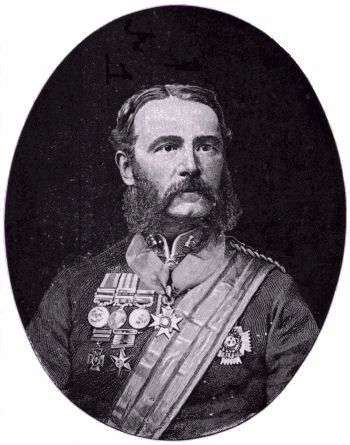 The hero of the day was Henry Tombs, of the Bengal Horse Artillery, an unusually handsome man and a thorough soldier. His gallantry in the attack on the Idgah (a Mahomedan place of worship and sacrifice) and wherever he had been engaged was the general talk of the camp. 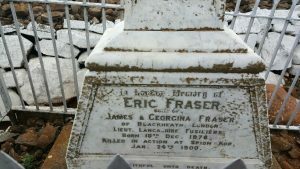 I had always heard of Tombs as one of the best officers in the regiment, and it was with feelings of respectful admiration that I made his acquaintance a few days later. Jemmy Hills, one of the subalterns in Tomb’s troop, was an old Addiscombe friend of mine; he delighted in talking of his Commander, in dilating on his merits as a soldier and his skill in handling each arm of the service. As a cool, bold leader of men, Tombs was unsurpassed ; no fire, however hot, and no crisis, however unexpected, could take him by surprise ; he grasped the situation in a moment and issued his orders without hesitation, inspiring all ranks with confidence in his power and capacity. He was somewhat of a martinet, and was more feared than liked by his men until they realized what a grand leader he was, when they gave him their entire confidence and were ready to follow him anywhere and everywhere.” Page 175. On the 17th (September, 1857) we were attacked from almost every direction— a manoeuvre intended to prevent our observing a battery which was being constructed close to an Idgah situated on a hill to our right, from which to enfilade our position on the Ridge. As it was very important to prevent the completion of this battery, Barnard ordered it to be attacked by two small columns, one commanded by Tombs, of the Bengal Horse Artillery, the other by Reid. Tombs, with 400 of the 6oth Rifles and 1st Bengal Fusiliers, thirty of the Guides Cavalry, twenty Sappers and Miners and his own troop of Horse Artillery, moved towards the enemy’s left. . . . Tombs drove the rebels through a succession of gardens, till they reached the Idgah, where they made an obstinate but unavailing resistance. The gates of the mosque were blown open and thirty-nine of its defenders were killed. Tombs himself was slightly wounded and had two horses killed, making five which had been shot under this gallant soldier since the commencement of the campaign.” Page 169. 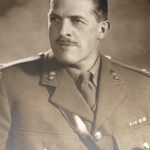 Henry Tombs was a veteran of dozens of campaigns over twenty years of service and his military career is the story of the British Army in India. As a twenty year old Subaltern he was ADC to Sir Harry Smith, who had stormed Badajoz in the Peninislar war under Wellington. Tombs was promoted to major general at the age of 42, but died aged 49 of sickness. The battery that he had served in fighting with sword and revolver had become 56th Howitzer battery RFA which served on the Western Front throughout the First World War and took part in the battle for Delville Wood on the Somme 100 years ago this month in late July 1916.